This is part 3 of my 4 part series on how to use a whole chicken. Part 1 will discuss how to cook the whole chicken in the crock pot. Part 2 will discuss how to make homemade chicken broth from the leftover bones and skin. 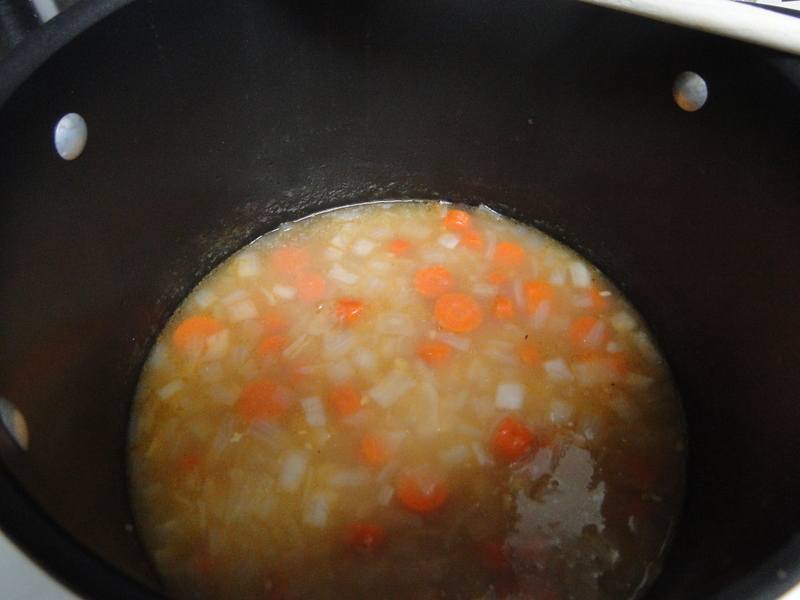 Part 3 will discuss how to make homemade chicken soup from the chicken broth. Part 4 will discuss the health benefits of homemade chicken broth. 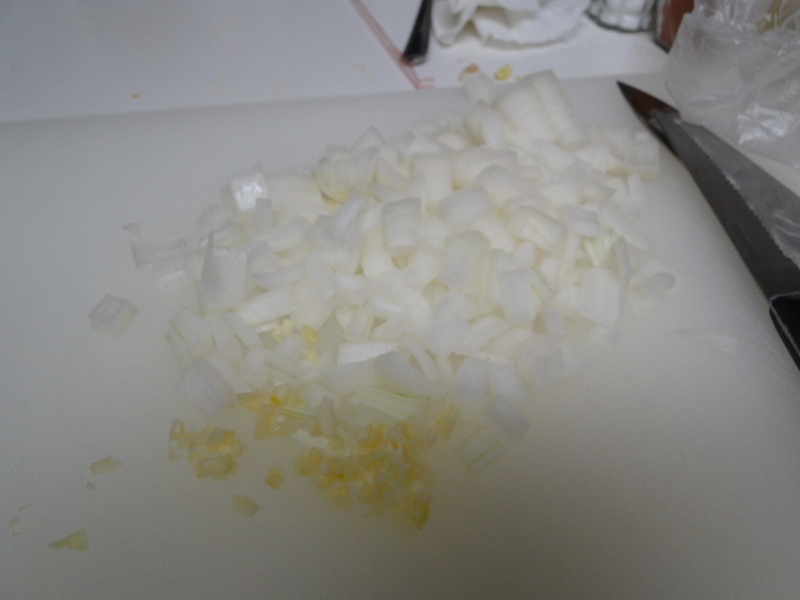 Step 1: Chop 1 onion and 2 cloves of garlic. Step 4: Season with your favorite seasonings: salt, pepper, thyme, paprika, cayenne pepper, etc and simmer for an hour. Add in chicken and season to taste. Step 5: Serve and enjoy or freeze for later. This chicken soup is really good for you and also a great meal to have on a fall or winter day. Freezing some for a sick day would be a great idea as well. I hope you enjoy, and join me for part 4 where I will discuss the health benefits of homemade chicken broth. This is part 2 of my 4 part series on how to use a whole chicken. 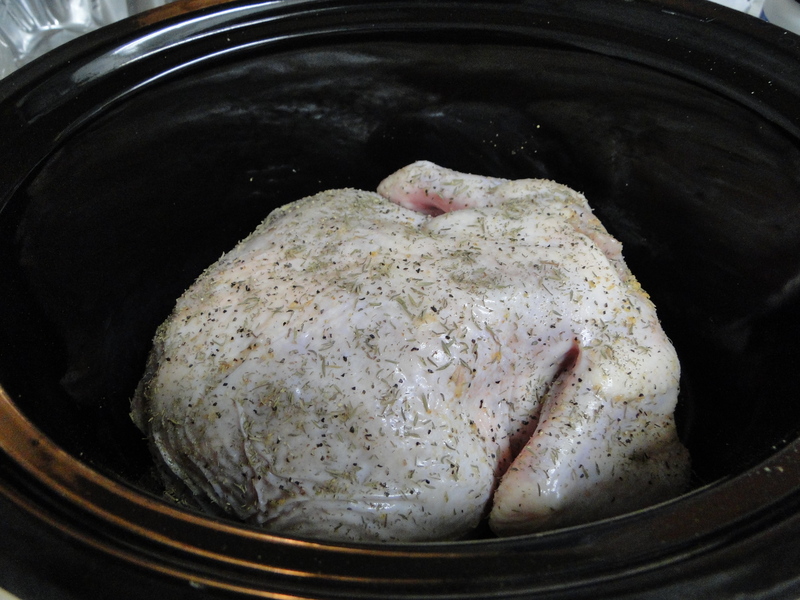 In part 1 I discussed how to cook a whole chicken in the crock pot. 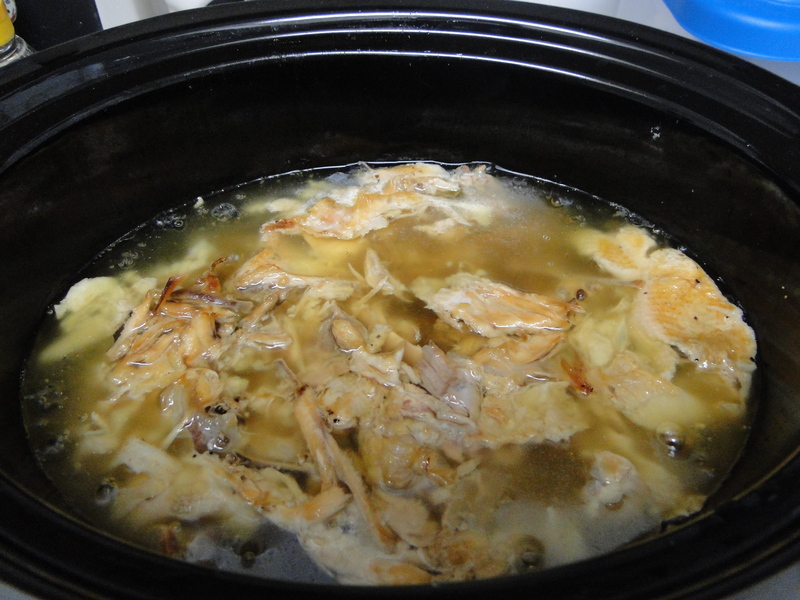 In part 2 I will discuss how to make homemade chicken broth from the leftover bones and skin. Step 1: After you have removed the meat from the bones, add the bones, skin, and whatever other junk you didn’t want back into the crock pot. Add about 6 cups of water or until everything is covered. You can also add some vegetables such as carrots. Google first what you can and can’t add. I know I definitely saw not to add broccoli, unless you want your house to smell like stinky socks of course. Step 2: Cook on low for 8 to 12 hours. Strain your chicken broth using a strainer or colander (you can also line it with a cheesecloth but that is not necessary. Step 3: Pour into containers and let cool overnight in the refrigerator. 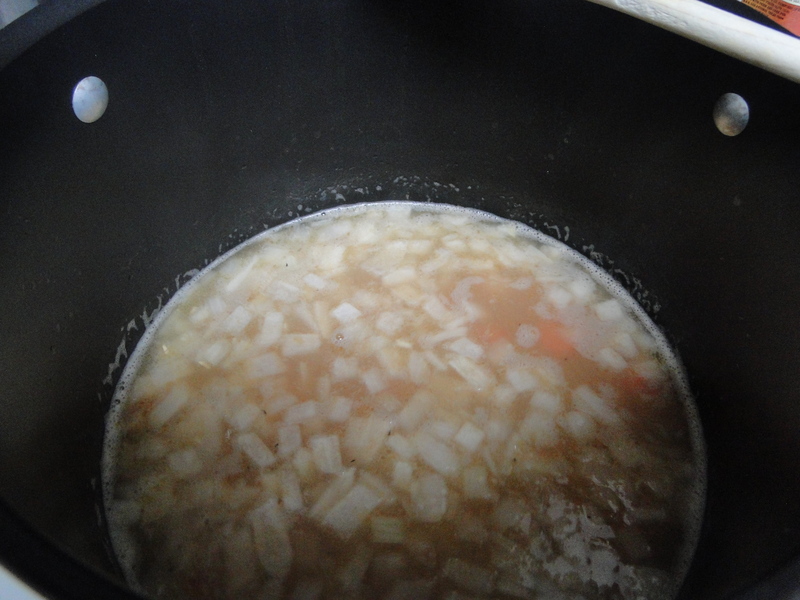 After cooling, there should be a layer of fat at the top of the chicken broth. 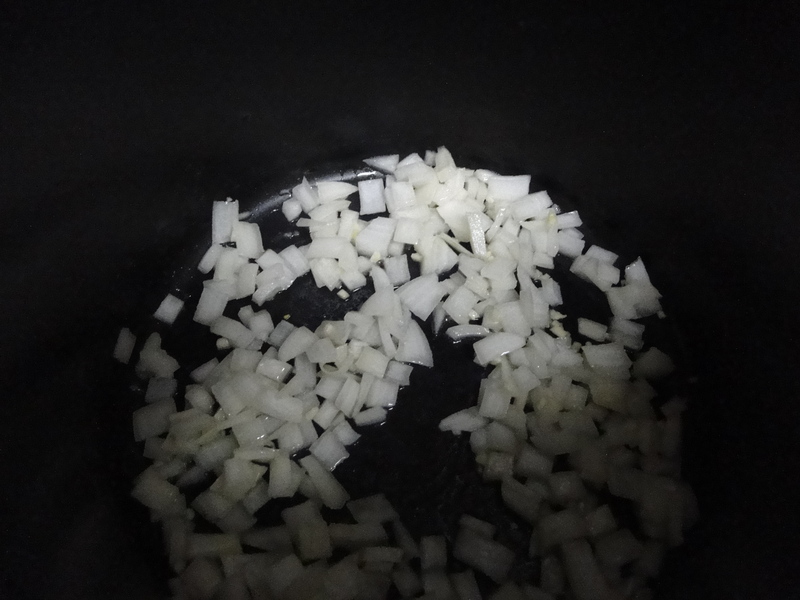 Use a spoon to scope this off (you can always save the fat to use in the place of bacon grease or other cooking fats). The broth will be like a brown jello material – much different from the stuff you buy at the store. I read a tip before that you could freeze the chicken broth in individual serving sizes by freezing in a muffin pan and then once frozen storing in a ziplock bag. My chicken broth gets used immediately to make chicken soup. 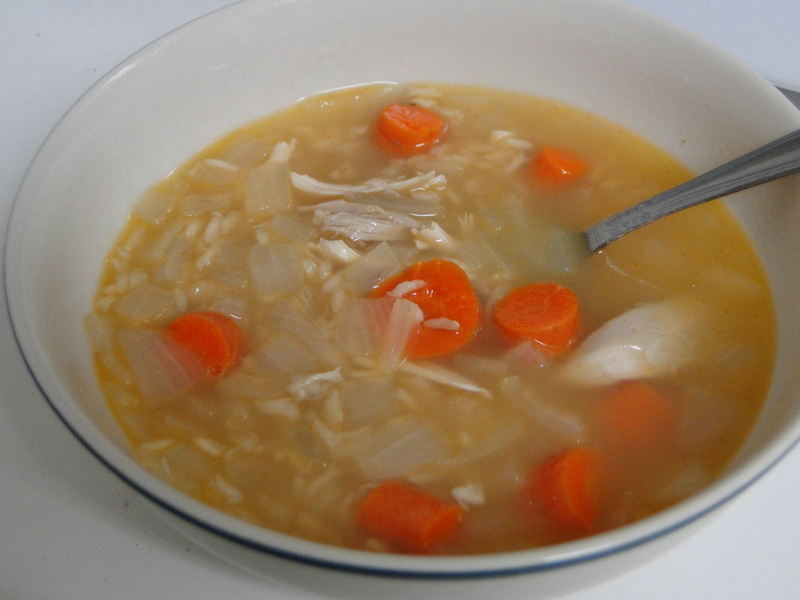 You can use chicken broth in cooking rice to replace the water or to cook soup. If you join me for part 3, I will share how to make my delicious chicken soup. This will be a four part series on how to use a whole chicken. This is a great way to feed your family healthy meals on a budget. To a homesteader, dealing with a whole chicken purchased from the grocery store might not seem like a big deal, but for those of us that grew up eating chicken soup from a can, a whole chicken can be a little bit intimidating. I will admit that the first time I did this, I was grossed out but as time went on I became more confident and now it is no big deal. You’ll get there too, I promise. Step 1: Remove the innards from the chicken cavity and rinse it off. Just a warning: there might be a little blood inside – rinse that all out. Step 2: Put the chicken in the crock pot and add about 1/4 cup of water. Step 3: Season the chicken with your favorite seasonings. I use salt, pepper, and thyme. Another note: use organic chicken. Based on the size in this picture below, I think this is from when I was still using a normal chicken. The organic chicken is much smaller and more expensive, but I feel better about what I’m feeding my family. Step 4: Cover with lid and cook on high for 2 hours. 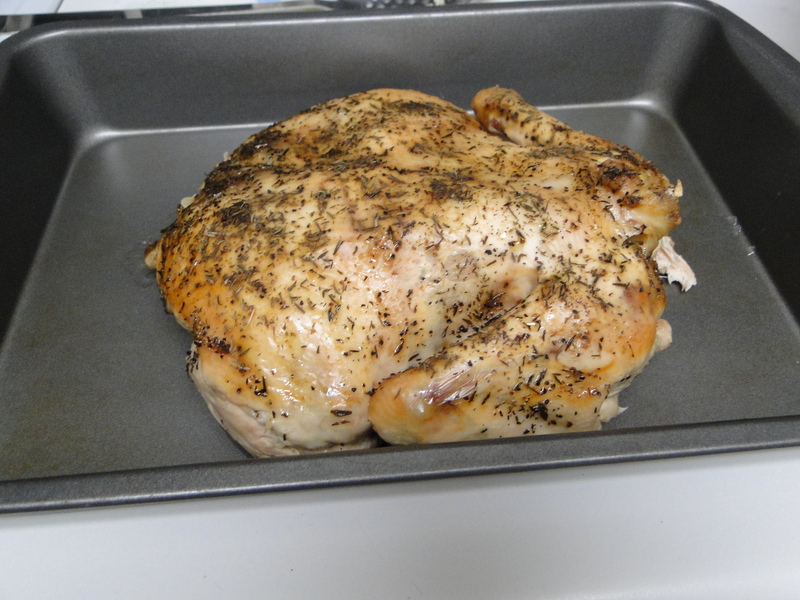 Reduce heat to low and cook for another 5 to 6 hours depending on the size of your chicken or until golden. Step 5: Remove from the pot and let it cool before shredding, or you could serve part of this as a meal. Step 6: Remove all of the meat from the bones and place all of the bones, skin, and junk you don’t want back into the pot. Now follow me along to part 2 to find out how to make homemade chicken broth. You can use the shredded chicken in chicken soup, over salads, serve alone with vegetables, or use in meals such as enchiladas, casseroles, chicken salad sandwiches, chicken pot pie, and more.